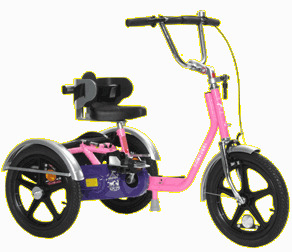 There are many different types of specialised bicycles and tricycles on the market for children with disabilities. Before purchasing one, there are several important considerations to bear in mind. How good is the users steering ability? Can the user co-ordinate their arms and legs? Does the user require additional seat support, special pedals or lower gears? Is the bicycle or tricycle stable? Is a steering rod required? Is it adjustable to allow for 'growing room'? 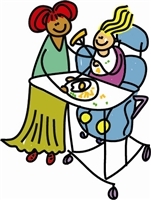 Can items (such as footplates) be changed as the child grows? What maintenance is necessary and who will carry this out? Does it need to be transported? If so, how will this be done? Where will the bike or trike be stored (some can be quite wide)? Specialised cycles are often very expensive and usually not funded by local authorities. You may therefore wish to investigate charitable funding. Many charities and trusts recognise the sheer enjoyment and therapeutic advantages that an adapted trike or bike can bring (Disability Grants, 2018).